Just finished up my first fly clock. I happen to live in a place that sees a lot of tourists and they like this sort of thing. 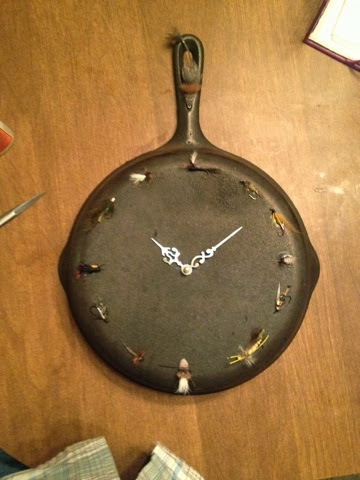 I like doing these clocks because it gives me the the chance to mess with classic flies, techniques and materials that I normally would not bother with because I'd have no way to use or sell said flies. Married wings are so fun to do and I really like the aesthetics of the classic wet flies.